15 people were injured when a taxi driver lost control of the vehicle on the R59 just after the Swartkoppies Road intersection in Alberton this morning. 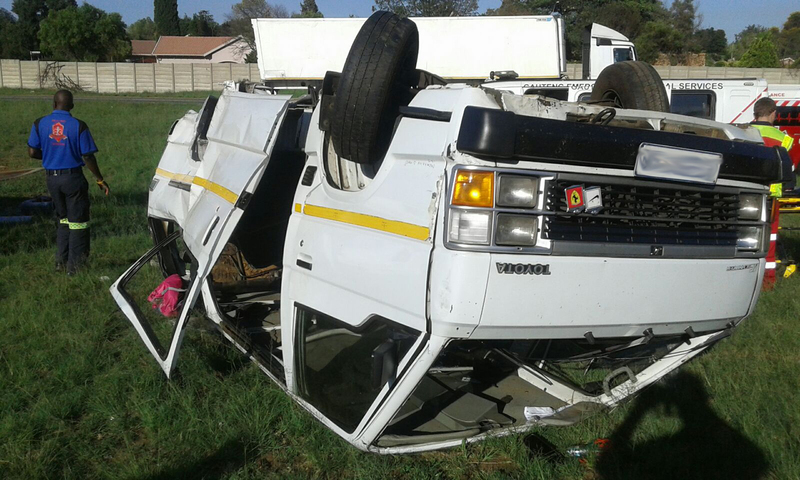 When ER24 paramedics and other services including Fire and Rescue arrived on scene they found the taxi laying on its roof on the grass on the side of the road. Some patients were walking on scene while others were lying on the ground. Paramedics assessed the patients and found that they sustained minor to moderate injuries. They were treated and transported to local hospitals for further medical care.